A concerning trend in the for-profit stem cell field, but one that does not get enough attention, is self-experimentation by those selling (often unlicensed) stem cell treatments. In other words, the stem cell clinic leaders and docs often not only sell stem cell treatments to patients, but also they give themselves the same treatments, often repeatedly. For some it seems to almost reach the point of addiction. Above is a cartoon on this issue by a new member of the Knoepfler Lab Blog, scientific and medical illustrator, Taylor Seamount. Look for more pieces by this talented scientific artist in the future. More generally in science, biomedical self-experimenters are sometimes dubbed as brave heroes of a sort. For example, Dr. Barry Marshall experimented on himself by infecting himself with the bacterium Helicobater pylori to test the hypothesis that it causes stomach ulcers. He became somewhat of a scientific folk hero and went on to win the Nobel Prize for his work along with Dr. J. Robin Warren in 2005. However, there have been many disasters related to self-experimentation. I suspect few of these end up in the public domain so what is known about negative consequences from self-experimentation is probably just the trip of the iceberg of what has actually happened. Dr. William Stark self-experimented on the relation between diet and scurvy, and in so doing accidentally killed himself. Dr. Jesse William Lazear experimented on himself while studying yellow fever resulting in his own death. Beyond the danger to the physicians themselves, a more serious problem in my opinion is that self-experimentation is being used as a way to promote unlicensed stem cell treatments to patients. I have talked to patients who say that when a stem cell doctor says to them, “I get these treatments myself” it can be very persuasive. Potential patients may think along the lines of “If the doctor or leader of the company himself gets injected with billions of these cells all the time, they must really believe in them and the cells must be safe”. I believe that stem cell self-experimentation may also change the thinking of those working at clinics such that they themselves become more viscerally passionate about the stem cell therapies in question. It could affect their judgment in ways that are harmful to the corporate culture and their patients. For example, they may fail to do proper informed consent of patients. Stem cell self-experimentation is something that we in the stem cell field need to keep a careful eye on, especially as the number of unlicensed stem cell clinics rapidly grows. Is self experimentation allowed at all from an ethical point of view? As a general rule of thumb, though, rigorous scientific experiments – including human subjects experimentation – should be set up to remove as much bias as possible. You can’t remove the observer’s bias (not to mention hopes, etc) if the researcher is experimenting on themselves, nor can you control for placebo effect, etc. That said, science has a pretty long tradition of proof-of-concept experimentation on self and it’s never going to go away. Where the ethical quagmire is (at least from my perspective) is in what kind of science is being done, how measurable it is in an unbiased fashion, and what the researcher does with that knowledge. If they self-experiment as proof-of-concept to then go about proper research/scientific methods, well… possibly crazydumb, but hey. If they self-experiment in order to then turn around and try to profit off their “research” without actually following proper research and scientific methods, then I’d say it’s both unethical and immoral. Yeah, in that case Amy, it’s a different thing entirely, because it’s involving university resources and funds, which tend to be federal and thus subject to official IRB ya da etc. That’s an entirely different ethical angle! Paul – You are certainly entitled to your opinion and since this piece lacks any scientific evidence, then that is exactly what this is. In my opinion, I would consider it a plus if a doctor had also had stem cell treatment. You use the words may, might, could, danger, but provide us with nothing but speculation and a claim that you have spoken to patients who are persuaded if a doctor says to them, “I get these treatments myself. : I know you are working hard to find new angles to espouse the risks of stem cell treatment, but this is really getting off into the weeds. Personally, I have noticed an appalling amount of retractions in the scientific community of late. 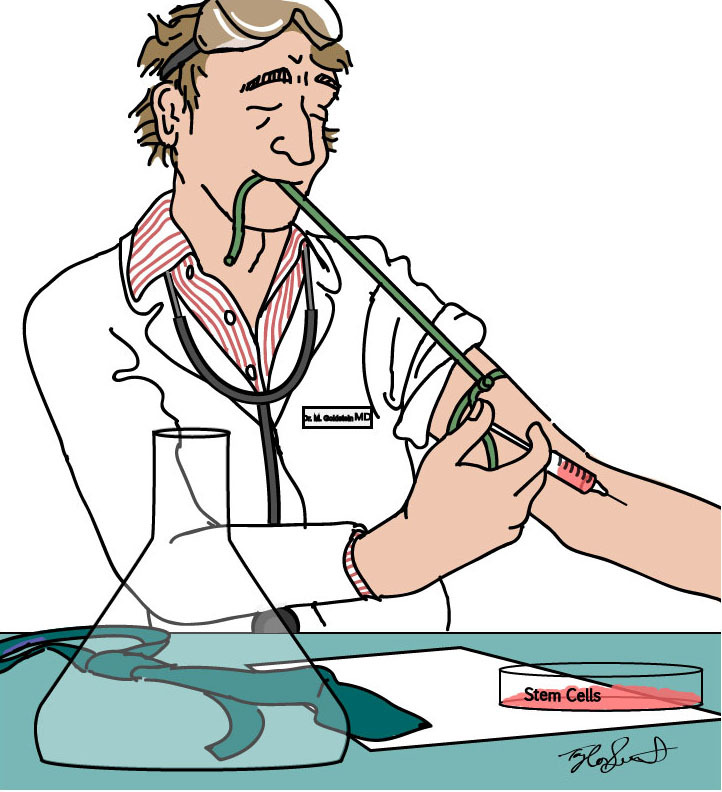 Research misconduct, I believe, is a far more serious problem than doctors doing self experimentation. Perhaps, this could be a topic you might tackle. Barbara retractions are the result of more discriminating journal standards, much more research submitted and a loosening of traditional codes of silence. Bad research hurts everyone because future generations waste resources researching something built on an inaccurate and shaky foundation. That is why research studies that skirt regulatory protocol or don’t bother with controls or good methodology hurt science. A physician having cell treatment and sharing it worked for them to a desperate patient who is out of options is not the same as physicians who sell unregulated cells and uses this experience of I use them myself as a point of sale without other robust evidence. Before self-experimenting, Dr Marshall had developed good laboratory evidence and had actually tried to test his theory on animals. The animal experiment yeilded a negative result. Yet when he tested his theory on a human (himself), his theory was confirmed. There are two lesson here. (2) Even after Marshall’s results were publicized, there was a lot of resistance… Why? It might have something to do with the bucks that can be made by selling non-cures… Those of us of a certain age can well recall the endless stream of advertizing promoting those non-cures. The dangers of self-experimentation pale into insignificance when compared to the harm governments do. Our Canadian Government did experiments on the starving children! I prefer to fry the big fish.